Global Shop 2015, held in Las Vegas, NV was a resounding success for InVue. 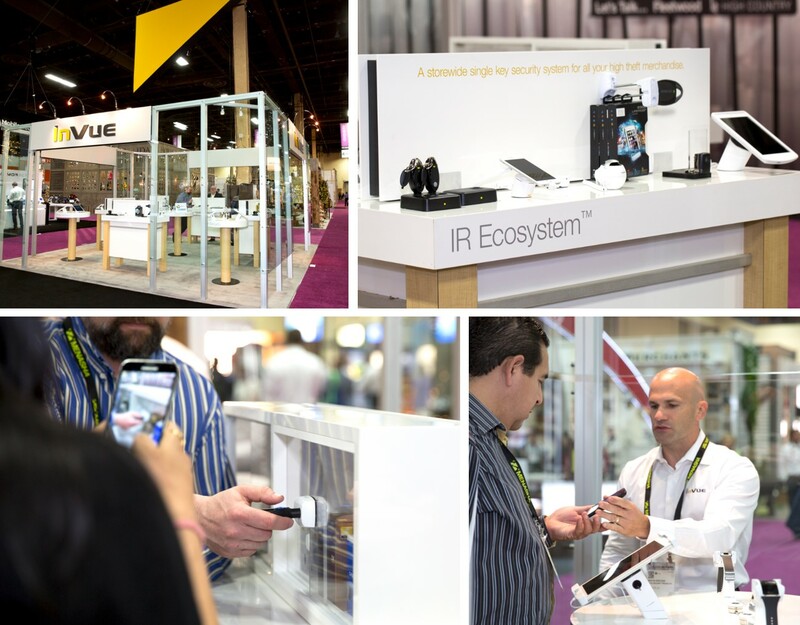 The focus of InVue’s booth was the IR Ecosystem™, a storewide single key security system for high value electronics and accessories. Retailers, brands and shopfitters attended the event from around the globe. Those attending got a glimpse of InVue’s newest innovation in tablet and phone security. This new product, to be released in the coming months, combines best in class security with the ultimate customer experience. InVue also introduced several new products within the IR Ecosystem family, including new solutions in wearable security, DSLR camera security, multi lens security, advances in secure hooks and much more.